Tired of tacos? 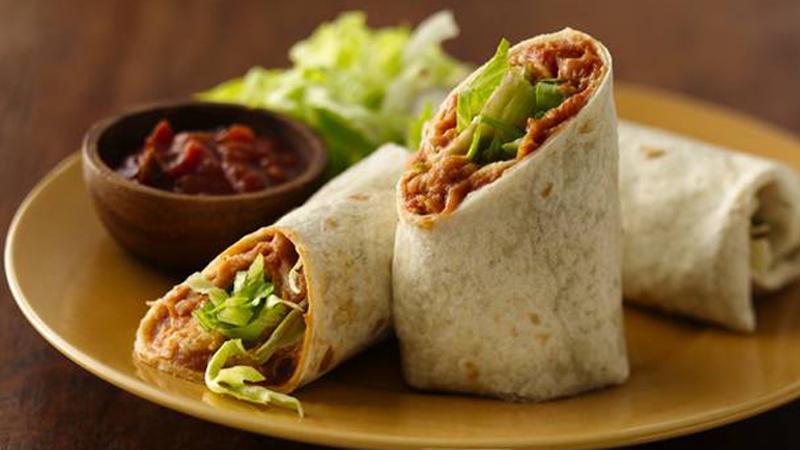 Roll up seasoned refried beans, lettuce and cheese in soft flour tortillas for an exciting change of pace. 1. Mix the beans, salsa and chilli powder in a medium-sized saucepan. Heat gently for about 5 minutes, stirring occasionally, until hot. 2. Divide the mixture between the tortillas and spread slightly. 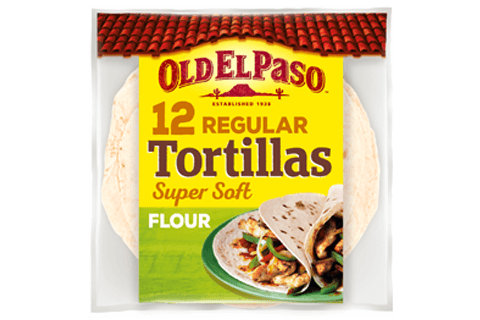 Top with the shredded lettuce and cheese and fold over the ends and sides of each tortilla and roll up. Serve, halved, with shredded lettuce and salsa on the side. • Jazz up the filling by adding some chopped sliced green jalapeños or sliced black olives, if liked. • These are great for a filling packed lunch or on-the-go snack. Wrap in cling film and chill in the refrigerator until required.